My plan worked: finishing and maxing out Ocarina of Time 3DS, then the Master Quest right after, provided an amazing journey in video gaming. Took me around 2 months to do it and I was playing fairly actively. At times I was questioning my decision if I should really pursue this stupid goal, but in hindsight, it was worth it. 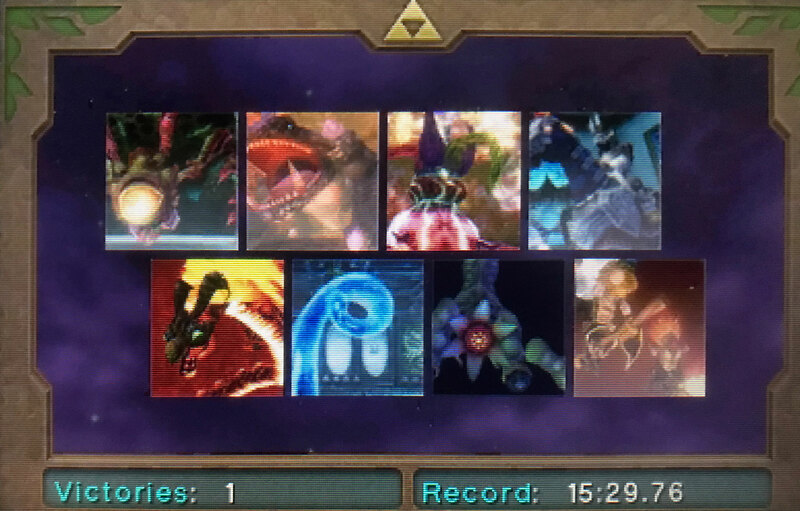 I can now say that I completed one of the best video game ever, with the optional Master Quest game mode to the fullest. Regarding Master Quest, I didn’t know what to expect. Maybe everything will be harder. Indeed, there are harder parts, but if you just have completed the normal game, it shouldn’t be difficult. Often times it’s even simpler than the normal game. The new dungeon arrangements are perfect for every Zelda fan: the geometry is the same, but the items and mobs are completely tweaked and it provides a different experience. I even completed the Boss Gauntlet where you need to kill the 8 bosses back to back with just 3 hearts. First I thought, nah, I’m gonna skip this. But then I challenged it again and again, and eventually I got lucky. All in all I’d put 140 hours into this project (3 full playthroughs, first in 2011, then now in 2018 the normal game and the master quest). I’ll let this cool down a bit before committing to a new gaming project.